In his new book, historian Greg Grandin shows why an expanding American empire has required an increasingly militarized border. And why America's founding frontier myth is finally coming to an end. But this ever outward, expansive push of the imperium has also been accompanied, in the last century, by a selective locking down of the border. Though Grandin isn’t the first to note the irony, his engaging analysis and illuminating exhumation of key, overlooked historical moments on and around the frontier provide a critical lens to understand both today’s border obsessions and the white-nationalist resurgence that has long accompanied the nation’s insatiable, hypocritical fervor for “more, more, more” (one of Grandin’s chapter titles). Grandin unpacks Frederick Jackson Turner’s “frontier thesis,” which postulated, much like Madison’s starry-eyed hope a century earlier, that the West gave the republic room to expand, that the territorial breathing room could act as a safety-valve, “a magic fountain of youth in which American continually bathed and was rejuvenated.’” The individualism espoused in the myth of the frontier, however, drew a straight line to rapacity and exploitation — including indigenous genocide, the entrenchment of slavery, the near extinction of the Buffalo, massive deforestation — generating deep inequalities and a lasting and racist plutocracy. “The frontier,” Grandin writes, “was a state of mind, a cultural zone, a sociological term of comparison, a type of society, an adjective, a noun, a national myth, a disciplining mechanism, an abstraction, and an aspiration.” It was a cure-all and an alibi, and it fostered the delusion of exceptional greatness just as it spurs today’s calls to make America, for a select few, “great” again. “Empire was a safety valve for all the pent up passions and explosive or subversive tendencies of an advanced society,” Grandin quotes Massachusetts congressman Caleb Cushing, writing in 1850. Today, the idea of the frontier — frontier as myth — is waning. The safety valve, it seems, is shut. And yet, Grandin argues, “the kinds of treaties and agreements represented by NAFTA have given corporations their own endless horizon,” the same sort of “open range” that the erstwhile settlers despoiled. Except that the corporate kind of “open range” needs a border wall even more than an open horizon to keep the displaced peoples at bay, and to exploit those who are able to cross the line. Today, the border packs in just about as much diversity of meaning, where, as Grandin writes, “an obsession with fortification against what’s outside is symptomatic of trouble that exists inside.” That is: the paroxysms on the borderline reveal a deeper internal pathology, one that has plagued the nation for centuries: papering over violence and racism with a Gadarene rush for more. How central is the myth of expansion to the United States? One of the ideas that animated the New Left was that the US resolves its contradictions through expansion. That the frontier is the reason why the US is able to marginalize extremism on the Right — including white supremacy — and socialism on the Left, while promoting a vital center, a middle-groundism. The US hasn’t had to decide between socialism and barbarism: that’s what expansion does; you never have to confront a class politics either through barbarism (i.e., fascism) on one side or socialism, or social democracy, on the other. Frontier just becomes a proxy for the word expansion, expansion just becomes proxy for market expansion or militarism. There’s a lot to unpack in that argument that the US is able to defer its contradictions, to marginalize extremism, to roll over racism generated from one war into the next war. It is true that, when one thinks about the history of the US, expansion has been central to its premise. Starting with the Seven Years War in the 1700s and the American Revolution as a fight against the British attempt to pen in the United States east of the Alleghenies. When one thinks about some of the foundational premises of the US, expansion is central to all of them. Benjamin Franklin in the 1760s is arguing that what’s unique about America is that expansion allows demographic growth to be linked to prosperity. So you have Franklin and Jefferson: expansion isn’t just one natural right, it makes all natural rights possible. Settlers don’t have to submit to tyrants, they can just move on. Or Madison’s “Extend the Sphere,” the argument that a large territory is the way to diffuse factionalism and extremism. But there have been periods, in some ways now, where the US has turned inwards? Right, during the New Deal, a lot of the ethics of social solidarity that emerged out of the New Deal was premised on the idea that the frontier was closed. They used the closing of the frontier as a way to understand the crisis of the 1930s and to imagine and to advocate for a more active role of the government in the economy. And they knew very well that it was a violation of a foundational premise of the United States, of Americanism. They were very clear that what they were putting forth was a new kind of political culture, and yet they were successful for a while. FDR often invoked the idea of the end of the frontier, the recognition of limits in order to advocate for more government intervention and for this new notion of social solidarity. Another alternative that could be organized around a fear of limits is racism and xenophobia, that we have to buckle down and we have to take care of our own. And later the border becomes a symbol of that racism, xenophobia, and buckling down? In the 1970s when there was this other kind of limits to growth and scarcity politics, that’s when the rise of a lot of obsession with Mexican birth rates, with immigration, began to emerge. And that’s when the first calls for a wall or border fortification began to take root. And so I think that Trump and Trumpism is very much a part of a faux-realism. It’s often presented as race-realism, that the world isn’t infinite. That there are limits to growth. Not everybody will sit at the table. Not all will rise up. In 1978, according to the Washington Post, Congress’s Select Population Committee concluded that “the American choice is to accept either Mexico’s farm and manufactured goods or its ‘surplus’ people.” NAFTA, along with border militarization, was Washington choosing the former. And so it presents itself as a more sober reflection of the world and hence one could think of the border as a kind of monument to disenchantment, the end of the frontier myth — but I make the argument that the wall is its own form of enchantment, because on the one hand it is this recognition of limits, but it’s a denial of limits. It’s a kind of petulant hedonism that Trump represents. That we can do anything. That we won’t be confined. It manifests itself in this kitschy cultural politics, this anti-politically correct politics. But behind it is this kind of recognition that the world does have limits, that it’s the exhaustion of the older universal model, but it’s also a refusal of those limits. You write about the 1920s: “Assuming infinity, Americans didn’t farm so much as strip-mine the soil, ignoring limits until they hit, in the Great Depression, the final limit.” Seeing the frontier as having a limitless capacity to both absorb and produce seems to foreshadow the climate change nightmare we are facing today. I think Trumpism isn’t about climate denial. I think it’s actually an acceptance of the reality of climate catastrophe. In some ways, the climate catastrophe is a true universalism, it’s a real sense that we are all in this together, and that ultimately is the premise behind a lot of the people who are pushing for an acknowledgment of climate change. And I think Trumpism is an expression — I mean, there are a lot of things that feed into Trumpism — but I think it’s actually a kind of unconscious acknowledgment of the reality of climate change. But they have to deny it. Because you have to maintain this notion of freedom as limitlessness. And racism and people of color are walking embodiments of the rebuttal of that premise of freedom as limitlessness. Because it was from the labor and land of people of color that American capitalism was created. So they, by their very existence, invoke social rights, or some kind of social obligation, and that’s what has to be denied. It’s a politics of tribalism. It’s a politics of nativism and tribalism that I think is premised on an acknowledgment that the old politics of imagining a kind of limitlessness and the way you solve social problems is through infinite growth, but on the other hand it’s also a rejection of a truer universalism, that we’re all living in a finite world and the only true solution to that problem would be a redistribution of political power and economic and property relations. And that’s something that’s not accepted. It’s a different scale of crisis now, and it’s a much more precarious crisis, and the stakes are so much higher. The New Deal wound up, to a degree, solving a lot of the ecological problems caused by that model of growth in different ways, even as they laid the foundation for what would undermine its own success. They reforested, they stabilized small-scale farming. The political corporate order that emerged under the New Deal undermined its own position. Whether you place the locus of movement in the politicized right or in corporate liberalism, what I try to do is show how they both interact and feed off of each other — but certainly Reaganism as a response to the crisis of the 1970s is about shaking off any sense of limits and restoring this ideal of the frontier, and he [Reagan] did so through energy policy, through Cold War militarism, through opening up the Third World. How so, how did New Deal programs end up laying “the foundation for what would undermine its own success”? The New Deal’s endurance rested on two pillars. First, Roosevelt’s government did everything it could to open foreign markets, which helped consolidate a powerhouse economic sector of highly capitalized industries. These industries — which included banking, along with the chemical, petroleum, pharmaceutical, electronic, and Detroit’s automobile companies — for the most part supported what would be over the next three decades the twin objectives of the New Deal coalition: expanding capitalism abroad and allowing a gradual extension of political liberalism, including civil rights, at home. The second pillar related to the nation’s agricultural sector and entailed keeping its labor costs low while similarly opening foreign markets for its exports. In general, this sector, comprised of southern cotton and sugar planters, Midwest farmers, southwestern ranchers, and California growers, was not, to put it mildly, an ally of New Deal reform. And so, on the one hand, there are all of those great New Deal social programs, which still, to today, serve as the limits of the possibility of many of our most critical thinkers — the Green New Deal, for instance. But on the other hand, there were those policies which underpinned plantation production, and ensured that wages remained low: the cutting out of farm workers from many New Deal programs, for instance, or the Bracero Program. The New Deal, through WWII and for a few decades after, is able to contain these contradictions, distributing wealth, creating a prosperous working class, reconstituting farm communities, and supporting large-scale agricultural production. 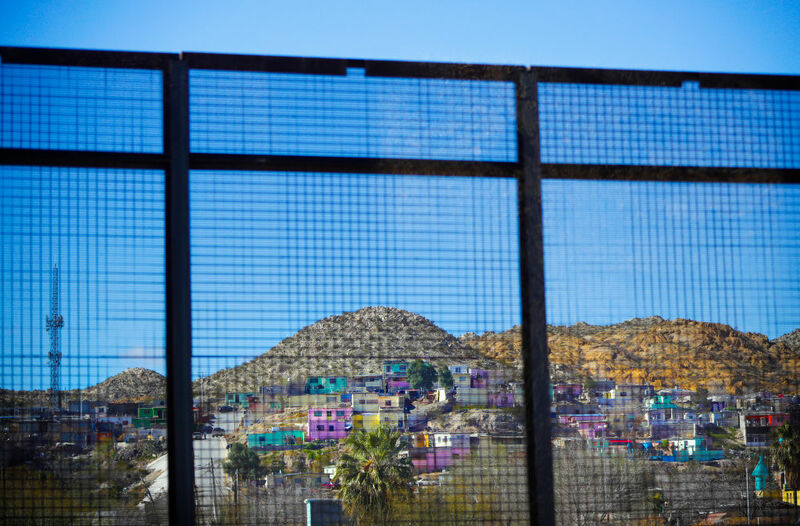 There are many turning points that historians might point to in order to say where it all unraveled, but The End of the Myth follows how it does so around issues related to the border and labor. For instance, the backstory to NAFTA starts three decades earlier from when that treaty was signed in 1993 — in 1965, the year Mexico City and Washington revised their nations’ tariff schedules. Henceforth, Mexican assembly plants located on the border were allowed duty-free import of raw material and partially assembled components from the United States so long as the finished product was exported back to the United States. The United States, in turn, would assess tariffs not on the total value of imported items but only on the value of the part of the items that was added abroad. Companies did the numbers and made the move. Seventy-four factories in 1968 grew to 147 in 1969 and then 454 in 1975. So LBJ in 1965, revising the tariff code, certainly didn’t set out to undermine the economic order created by the New Deal, if only because the New Deal state had long worked to keep wages low for certain key industries. And that’s how Johnson’s White House sold the tariff revisions — as keeping with that policy objective: “Where we used to bring low-pay Mexican labor to our country,” said James Givens, a labor activist based in El Paso, “we now take the work to them.” But 1965 was also the year that Johnson escalated the Vietnam War. B-52s would soon drop more bombs on North Vietnam, Laos, and Cambodia than were dropped in all of World War II. Those bombs, as Martin Luther King said they would, exploded at home, triggering an economic chain reaction that transformed the North American continent. You also write about the explicitly racist origins of the Border Patrol, that the “US Border Patrol … turned into a vanguard of race vigilantism.” Can you talk about the confluence of racism and border enforcement— are they inextricably linked? Certainly, in the experience of the US border. The wars for the frontier were inherently racist. There was a close connection between political democracy and white supremacy. The Jacksonian period is the key moment in which the expansion of the vote is tied to Indian Removal. The violence involved in expansion — from the Seven Years War in the 1700s through more than a century of Indian removals and the Mexican-American War to the Philippines, Vietnam, Iraq and Afghanistan — breeds a racist brutalism that requires future crusades to channel and vent. Perhaps more importantly, it creates a hyper-identification — for some a conscious, explicitly racist and nativist identification, for others a more subterranean, reflexive affinity — between white supremacy and individualism, individual rights, and negative freedom, that is, freedom understood as freedom from restraint. It’s a powerful, generative worldview — it’s the essence of what’s called American exceptionalism — but it’s a worldview that can only avoid implosion so long as more expansion is possible. But it’s not, for reasons already discussed, and so we are witnesses to various morbid symptoms, organized around Trumpism. One of those symptoms, obviously, is a visceral intensification of racism. On the one hand, the rise of border nativism is driven by totally mundane reasons, having to do with the viability of the Republican Party as a national-level party. In the wake of George W. Bush’s catastrophic presidency, movement conservatives, nearly undone by their own ideological excess and sensing they were losing a broader culture war, seized on the demonization of migrants as a way to account for setbacks without having to resort to moderation. And it justified voter suppression. But there’s an excess to the hatred Trump taps into, directed as it is at people who largely represent the ideals that nativists claim they value. Put simply, the long, historic dependence on the labor of people of color confirms the social basis of existence, they are a reminder of limits, evidence that history imposes burdens and life contracts social obligations. In other words, they confirm the legitimacy of social rights and social democracy. They imply limits, and limits violate the uniquely American premise that it — it being the current, racially segregated arrangement of wealth distribution, property relations, and political power — is all going to go on forever. Is Venezuela a symptom of this fear of limits? That even as Trump hails the idea of bringing back the troops from Syria and Afghanistan (whether or not that will actually happen) the administration is pushing a soft coup in Venezuela and floating the idea of sending troops to Colombia. How does this relate to the frontier in terms of domestic politics? That’s a question that has many answers. The reassertion of the neocons, the Cuba lobby, Trump looking for a way out — looking for a way to use foreign policy to reorder domestic policy — and larger questions with energy and oil. Oil, not so much just in terms of profit but in terms of power. You see the way foreign policy refracts all different past moments. It’s justified by democracy and the US insistence that it has the right to define who is sovereign and who is not sovereign, and that seems in this particular case overtly hypocritical. The Venezuela thing comes out of these deep currents of US foreign policy and it’s specific to Donald Trump and his looking for a foreign policy victory. Venezuela itself is central to the way the Right talks about foreign policy. Aside from any given material interest and political interest the US has in any escapade, foreign policy is also the place in which the US organizes its domestic politics, both in terms of coalition-building —in this particular case it’s about the Marco Rubio Cuban lobby, the neocons, about neutralizing Democrats who can’t complain because they’ve been voting for sanctions on Venezuela for years now — and it’s ideological. We saw it clearly in that State of the Union address. He didn’t even do it gracefully. I was waiting for him to mention Venezuela, I thought he was going to mention it much earlier, and when he does, it’s just a throwaway line to immediately pivot back to domestic politics, in a totally awkward way. It wasn’t even a graceful pivot. He just blurts out Venezuela, tyranny, blah-blah-blah, and then he just uses it to attack Alexandria Ocasio-Cortez and say that America will not be socialist. So using Venezuela as a way to paper over contradictions within the conservative worldview by asserting this kind of moral common sense: this is where socialism would lead you. It’s an old trick. As the Spanish-American War was used to promote a détente between the North and the old Confederacy. There was a clear reconciliation between the North and the South. The US reconciles its contradictions, on the regional level, on the ideological level, a constituent level, an economic level — expansion has had the function over the years of reconciling those contradictions. And 1898 is a perfect example. In some way it was just an extension of the pacification of the West, but on a deeper level, because the South was already reintegrated into the military structures of the US, it allowed for a remarkable reassertion of reconciliation. And this pact was that the South could transform its own sedition, and the war carried out on behalf of white supremacy and chattel slavery could turn into something noble. And yet black soldiers were marginalized, and white Americans were disturbed that they were fighting against white Europeans (the Spanish) and fighting for black Cubans. They didn’t realize it at first. It took a while for the Southern newspapers to realize that the US was fighting on behalf of dark-skinned Cubans and for white Europeans. Last question: what are you reading now? I’ve just been reading — since a neighbor put it in the street and I picked it up — the essays in Dwight Macdonald’s Memoirs of a Revolutionist. MacDonald has a sketchy history, bound up in the sketchy history of all those small journals, but his writing on Hiroshima is powerful. “Gotterdammerung without the gods,” he called the new world ushered in by the use of atomic weapons. Seems apt for our moment. Greg Grandin teaches history at New York University. His newest book, The End of the Myth: From the Frontier to the Border Wall in the Mind of America , will be published in March. He is the author of, among other books, Fordlandia, shortlisted for the Pulitzer Prize and the National Book Award, The Empire of Necessity, which won the Bancroft and Beveridge prizes in American history, Kissinger’s Shadow , and Empire's Workshop . John Washington is a writer and translator. A regular contributor to The Nation and The Intercept, his first book, on the history of asylum and US asylum policy, is forthcoming from Verso Books in 2020. He is also a translator, having translated, most recently, A Massacre in Mexico, by Anabel Hernandez.